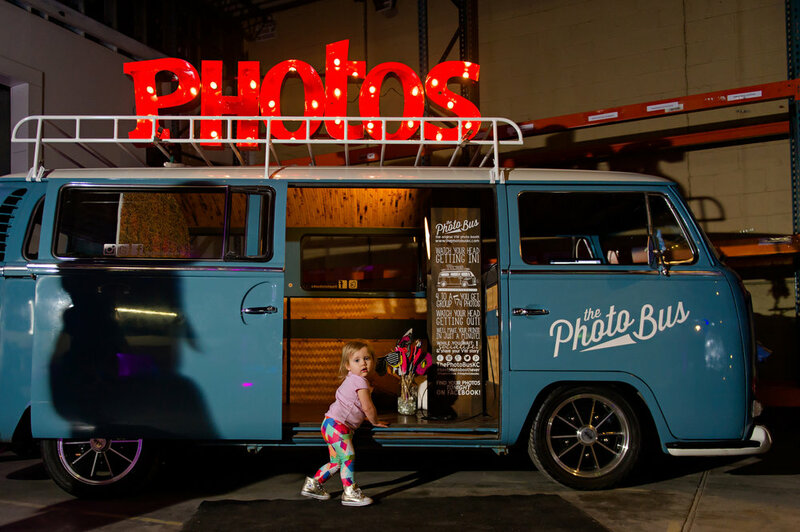 Public events, street festivals, weddings, corporate fundraisers, bar mitzvahs, birthday parties... yes, The Photo Bus VW photo booth is there! 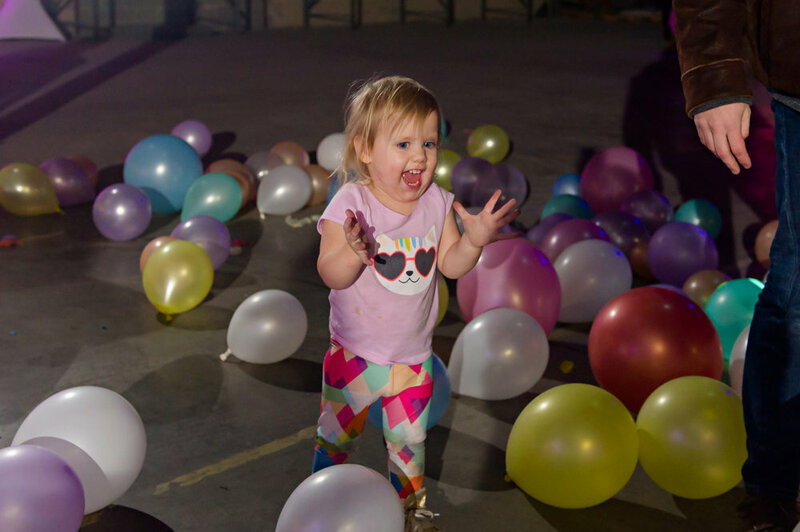 Our friends moved into a new warehouse and had a party! Ultrapom threw a party for all their vendor friends and the wonderful Deanna Johnson of A Day to Adore Photography, took photos of the event. 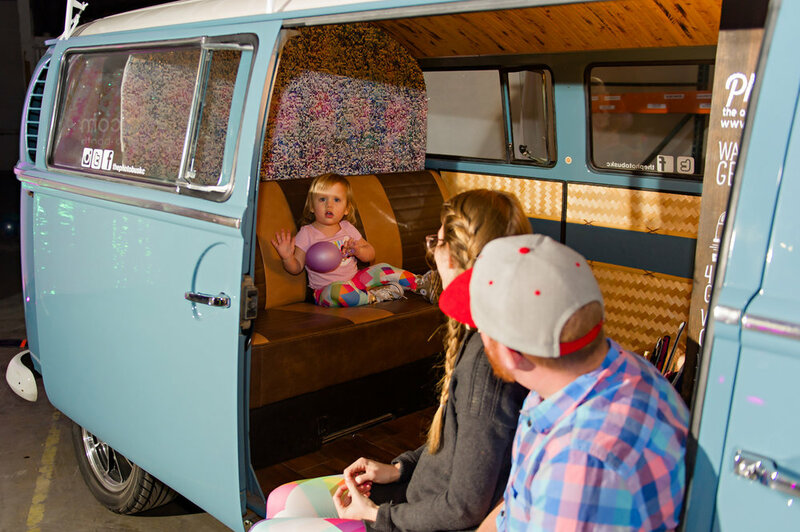 We had our Bus Mary Lou Blue and our social booth at the event! She did an amazing job with the photos and captured Rossi Beth having so much fun. 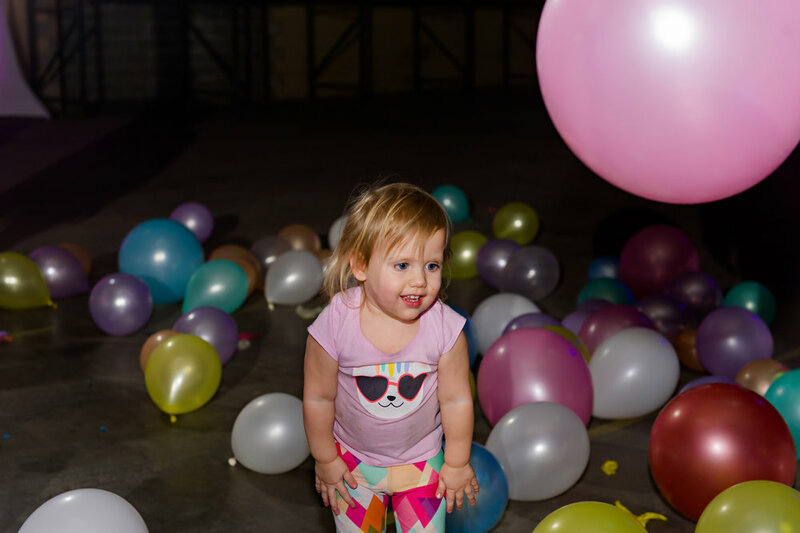 This was an event we were able to order a custom background that fit the theme of the party so well! It seems like it took an eternity to arrive, and then it was gone. ... and toward the end of the night we had to run the bus because, well, why not? We were super dressed up and it make for a really fun photo-op! We are now offering custom marquee signs for YOUR wedding or event. You can either keep it or rent it. Send us an email for more details and to check availability! © All text, photos, and logos are copyright The Photo Bus KC & The Photo Bus Co. All Rights Reserved.